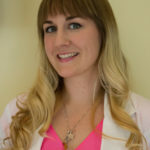 Dr. Lay provides her patients with emotional support, encouragement and direction to not only balance their nervous system, but also, to empower and better their journey in this life. The journey to and through recovery can be an emotional road that often requires more than meeting psychological needs. While Dr. Callista Lay has spent a lot of her time focusing on women, she understands that sexual violence is not unique to only women and finds it prudent to note her healing capabilities are offered to all – regardless of age, gender and sexual orientation. I have worked with survivors both in my personal and professional life. As a young physician, my career is only just now starting to open the doors that I have long awaited walking through. To this date, I have performed most of my healing work in my personal life, with my loved ones and close friends. It is shocking to start to learn just how many individuals have abuse in their history. I have always been an empathetic individual who possesses a gracious way with words and throughout my life numerous individuals have told me simply talking with me has provided a sense of healing. In a professional capacity, I most recently provided my time to an Empowerment Summit hosted by RAINN. Trauma takes a toll on one’s sense of self and therefore, one’s ability to unconditionally love not only themselves, but in turn, others. I’m interested in helping survivors reconnect to their purpose and find confident grounding within. My own history has been touched by abuse and I believe through my own road of recovery I was able to discover something even more profound in myself that I was not always awakened to. Working with survivors, to me, is not only about providing healing, but also encouraging personal enlightenment. If I can help even just a handful of individuals along a path in which they’ve turned misfortunes into miracles, in which they’ve found their ability to love themselves unconditionally, then I will feel I made an impact with my time on this earth. To me, providing trauma-informed care means supporting others on their journey to freedom. In a more analytical sense, it is providing detail-orientated care. It is using caution in my gestures, my words, and especially, as a manual medicine physician, it is extremely important that I use caution with my touch. Trauma-informed care means providing sensitive, nurturing and empathetic understanding to clients and their needs with patience. As a trauma-informed care provider, I understand the necessity to stay calm and non-forceful. There is a difference between showing someone the path and pushing them to walk it. Often in trauma healing, I believe allowing someone to explore their truths without forcing them into areas they may not be comfortable with yet is extremely vital to building a foundation of trust. Chiropractic adjustments; gentle manipulations of the joints of the body that facilitate optimal range of motion, as well as decrease any nervous system impedance or blockage that a malposition of the joint may create. This is most beneficial to survivors to help down regulate over-activity in the sympathetic nervous system, which may have become agitated from trauma-related stress. In unique cases, individuals who are still physically healing from trauma would benefit from adjustments, in that chiropractic care allows the body to reciprocally self-heal, thus increasing speed of healing time. Acupuncture; a traditional, Chinese medicine that utilizes thin, sterile, single use needles to stimulate different points of the body, known as acupuncture points. With the use of acupuncture, conditions such as PTSD, anxiety, depression and overall emotional stability can be profoundly affected. Acupuncture is restful and restorative to the overall health of the whole being. Craniosacral technique; soft touch manipulations of the cranial bones, that are believed to benefit optimal flow of cerebrospinal fluid providing overall nervous system, brain and body health. CST is most profoundly used to benefit relaxation of the nervous system. Since CST requires light touching of the low back, lower abdomen, mid-body, upper chest and head, clients often report feeling euphoric, calm and rested after a session. In some cases, clients note body pain and overall quality of sleep is drastically improved with utilization of this modality. For some survivors this fully clothed technique can be beneficial to reopen the doorway to allowing touch to be a healing resource. Reiki; a spiritually-based healing principle that calls upon the use of divine energy to create healing and calm, not only in the physical body but also in the energetic body, or more commonly coined, the chakra system. The chakra system is believed to comprise centers of energy in which we can store past trauma, abuse, instability, emotional insecurity and much more. A person with a healthy functioning chakra system is at home in one’s self and radiates this confidence from within. With reiki healing, clients lay fully dressed on a massage table and simply set the intention to receive healing from the reiki practitioner. Reiki healing can clear negative energy from chakras that may have been affected by trauma, therefore providing the foundation from which the survivor can energetically release the wounds they may be carrying. This allows them to move forward into manifesting their true potential and higher purpose. Massage therapy/cupping; massage therapy in the traditional sense, including body part specific or full body massage. Cupping is a deep tissue technique that utilizes glass bulbs suctioned to the skin to create a separation of the fascia, release trigger points and strip muscle fibers, while also promoting optimal blood flow. Cupping can even be used to help with conditions of stagnation such as lung congestion, common cold, and even headaches. Commonly in our practice cupping is used as massage technique that can further promote relaxation. Mercier Therapy; is a deep tissue gynovisercal manipulation used specifically to promote optimal function of the uterus and ovaries. The technique is preformed externally much like an abdominal massage. In a session, clients are massaged anteriorly over the abdomen from the pubic bone up the sternum, and posteriorly over the low back into the gluteus muscles and sacral area. Deep tissue touch is applied over the uterus and ovaries to create a massage and manipulation like movement. This is great for women who are trying to conceive naturally as it promotes blood flow and frees up any adhesions in the associated ligaments and muscle tissue of the uterus. This modality is profound for survivors who may have sustained scar tissue development or other dysfunction of the uterus post trauma, as the uterus can malposition within the abdominal cavity. Mercier Therapy is a wonderful tool to heal the uterus and ovaries, help with conception or just simply provide women with a healthier menstrual cycle. For survivors this technique can help reconnect a woman to her womb. Diagnostic testing; Any and all imaging necessary for safe chiropractic care such as X-ray and MRI can be performed prior to care or referred out. Likewise, any blood testing that should be performed, from general labs to hormone testing to nutritional sensitivities like food testing can be performed in the office, or referred out at physician’s discretion. Supplementation/Nutritional Counsel; in some cases clients are given suggestions for appropriate vitamin and nutritional supplements, meal plans and essential oils to compliment care. My treatment approach can be modified to fit any individual’s needs. For some, the healing journey is just beginning and they may find some of the modalities I offer to be too invasive, whereas others are ready for complete bodywork. No clients are ever pushed or forced into treatment that they are not comfortable with. All treatment options are fully explained and clients are engaged in making the choices in treatment options that they feel speak to them the most. Being located in the West Loop of Chicago accessibility both via public transportation, and self-transportation is never an issue. There is street parking and a parking garage within walking distance, and appointment times can be manipulated if a client is looking for very private care. If a client is not wishing to run into other clients in transition from one appointment to the next buffer spacing can be provided with in reason. All treatment rooms are private and confidentiality is never an issue.